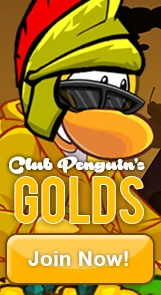 Welcome to the official website of the Golds Army of Club Penguin! We are one of the Oldest and most Legendary Armies on Club Penguin. We have been a force to be reckoned with ever since our creation back in 2007, if you would like to Join the Golds and make your mark in the History of this magnificent army then sign-up at our Join page! Join our mission and help us protect Club Penguin! 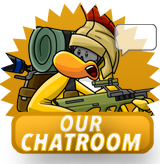 Take part in large battles on Club Penguin, earn Rewards and Promotions and meet new friends right here in the Golds Army! The Golds of Club Penguin™ © 2016 Graphics, Images, Videos, CSS, HTML, etc. 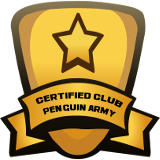 is copyright of The Golds Army of Club Penguin™, and of their respectful owners. Do not copy anything from this site and claim an item as your own. Consequences will be faced. © 2009 - 2016, The Golds of Club Penguin™. All Rights Reserved. After discussing with Antonio about Golds lately, we have decided to shut down this army. In this announcement I’ll be going into the reasons for the shutdown of Golds and a personal note to everyone I knew in Golds and CPA. The main reason for Golds shutting down isn’t as obvious as most people would think. For at least two years, Golds has gone through a never ending cycle of leadership changes. There would be decent leaders that got the army to a decent and stable performance, after sometime there would be legendary/high skilled leaders rejoining for a few weeks and bringing the army to greater sizes and then after awhile when they left the army would be back to doing decent (or sometimes poorly). That would repeat multiple times, and as soon as myself and others realized Golds was going through that cycle, we knew it would eventually lead to the fall of Golds, which is why it has come to this right now. It has come to the point where Golds can’t function even decently well without highly experienced leaders coming in. I realize some people may be getting a pitchfork ready to blame someone for what’s happened. What everyone needs to know is that this was nobody’s fault. No one here is to blame, not the current leaders, not anyone in or outside of Golds. Ant and I came to this decision because we knew that it would be better to shutdown the army rather than to keep it going in it’s current condition. Trust me, even though the decision was pretty clear that it had to be done, this was not an easy one to make and follow through. In terms of our servers, we’ve decided to given some to AR and some to ACP. Both of those armies have been trusted and reliable allies for a long time now. Some people might be thinking if Golds are going to come back in the future or not. While it is possible for Golds to make a return, I sincerely doubt that would happen. As you all know, CPA in general has been in a declining state. The highest score in the CPAC top ten for this week (1/29/17) is 65.48, that score used to get you a 5th or 6th spot on the top ten not too long ago. The only way for Golds to return is that if a bunch of trusted people want to bring it back, they would have to get approval from both Antonio and I. Right now I would not even consider approving the return of Golds for several months at the minimum due to CPA’s current climate. Before I personally address the army and the community, I would like to thank the troops, owners, leaders, advisers, friends and allies of this generation for their contributions to this army. Thank you for your dedication to Golds. I’d like to thank the hard working, loyal, and dedicated leaders and troops who stuck with Golds until the end. I would like to thank the creator of Golds, Johanwillfir, for creating this army and allowing it to grow and prosper into an amazing community. One of the most unique and memorable things about Golds is not our sizes, or TT rankings, but the community we had on our chat. Golds was a place for people from both inside and out of the army to have fun because of the amazing community. I want to thank everyone who contributed to that uniqueness of the army. As a personal note, I would like to call a truce to anyone who I’ve had tensions and difficulties with in this past year. I’ve made mistakes both as a leader and an adviser to Golds. I apologize for my consistent antagonizing of the leaders in the past months, I want you to know that most of the time it wasn’t personal, I was just upset about the performance of the army. I apologize to everyone who believes that I was too harsh towards them during my time as a leader and adviser. I’m also sorry for occasionally overstepping my boundaries as an adviser whenever it was due to a personal grudge and not something to benefit the army as a whole. If golds ends up never coming back at all, or if I lose contact with any of you, I want to wish you all the best in what you decide to do with your career in CPA, and also what you decide to pursue in life. As cliche as it sounds, it’s never easy saying goodbye, so I wish everyone the best, and rest in peace, Golds. It’s difficult trying to maintain an army that carries this as an endless cycle. Many armies have had the same effect, and some probably are right now. However, Golds had a pretty strong run in CPA, even with the last several months being a complete shitstorm (I don’t even need to go through details, most of you reading know exactly what I’m talking about.). We got up to 3rd in CPAC which is still very good despite the lower scores nowadays, and we were still a good army nonetheless. I’m glad I stayed on board in the three months I was a troop-turned-Leader, despite being one of the last in a time where the army had a bit of a recession and the constant warring state we were in. Sayonara, Golds. If you’ll excuse me, I still have a road to walk. You have been an amazing ally Gold and you will be sincerely missed. 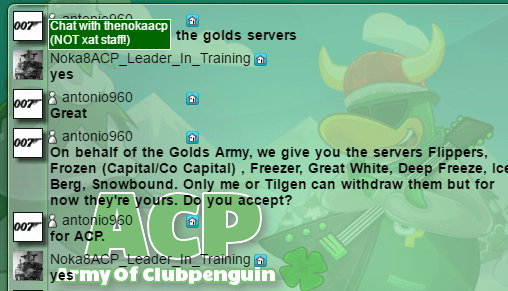 I would like to thank you on behalf of the ACP for all the help that you have given us and for the servers. May you rest easy. AR loves you, Golds!! We’re gonna miss you! It was a good run, boys. 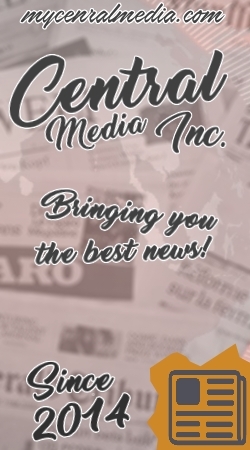 CP is shutting down in March anyways. I am totally wowed and preraped to take the next step now.